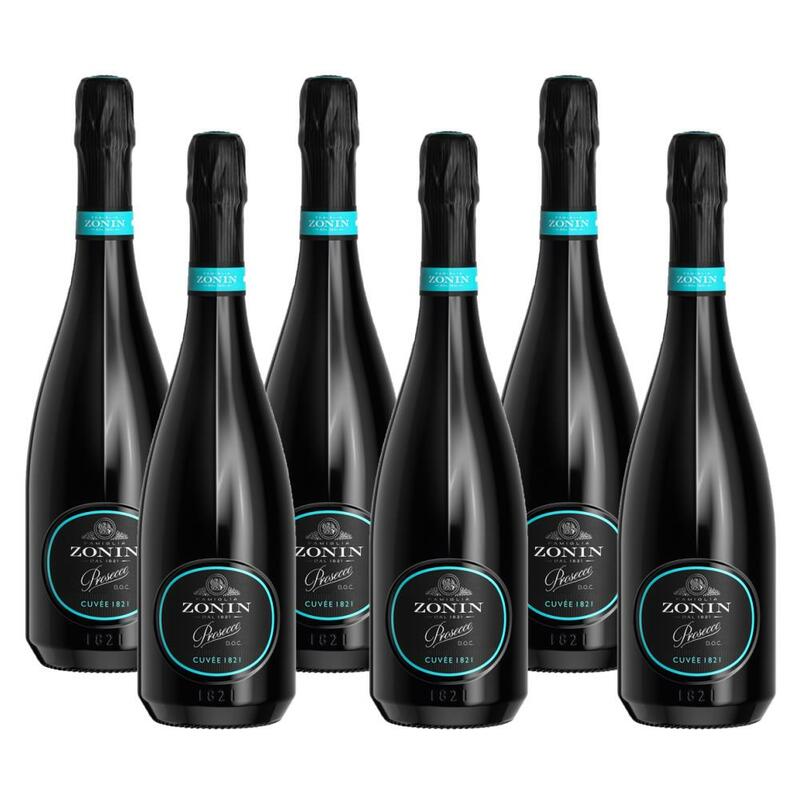 Buy a crate of 6 bottles of Zonin Prosecco Cuvee DOC 1821 Prosecco, and get them all packed into a protective outer box and delivered together. Very well-balanced and appealing, with the extremely delicate almond note that is typical of Glera grapes. Bright pale straw-yellow; a fine, clear mousse with a very delicate perlage. Attractively intense; very fruity and aromatic, with hints of wisteria flowers and Rennet apples. An excellent aperitif, it can also be served throughout the meal - including dessert - as long as the dishes are not too strongly flavoured.